Hello my crafty friends....today I have a card for the OWH theme...TIME ..
No clock stamps, but I did have this sentiment with the word TIME in it...so I am going with that. This card was super easy to make and you could actually make a set very quickly and just change the sentiment. Flowers stamped with Versafine Black and heat set with clear embossing powder, then colored with Copic markers. Sentiment was done the same way. Base card is inked at one end and both top and bottom. Use foam adhesive to adhere together. Have you entered the giveaway yet? Go ahead you might just win. Click here!!! WOW! THis is just gorgeous with those beautiful blue blooms! I love how you colored the mat on one side, gradually going lighter to solid white on the right side. Beautiful!! Beautiful card! 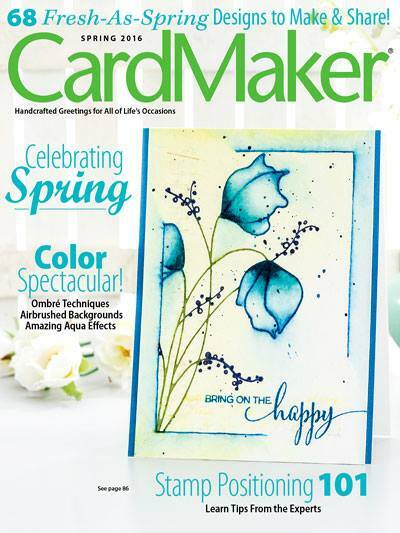 I just love that flower stamp and the bright blue you colored them. What a perfect sentiment for this challenge and for our heroes to send home to a loved one. what a beautiful card...If I got that card it would sit out forever. The sentiment on the card is wonderful! I love the gorgeous blue flowers and your CAS style. Have a great day! This card is beautiful -- so elegantly CAS. The blue just pops, the sentiment is perfect, and the placements of the stamped image and sentiment balance each other so nicely. Wow! 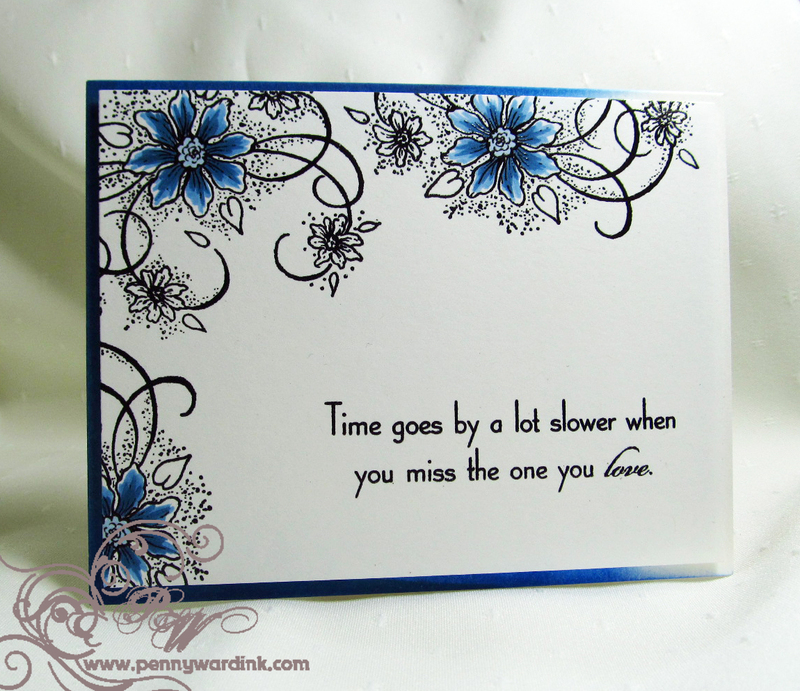 Just love the stamping on this card! Thanks so much for sharing.